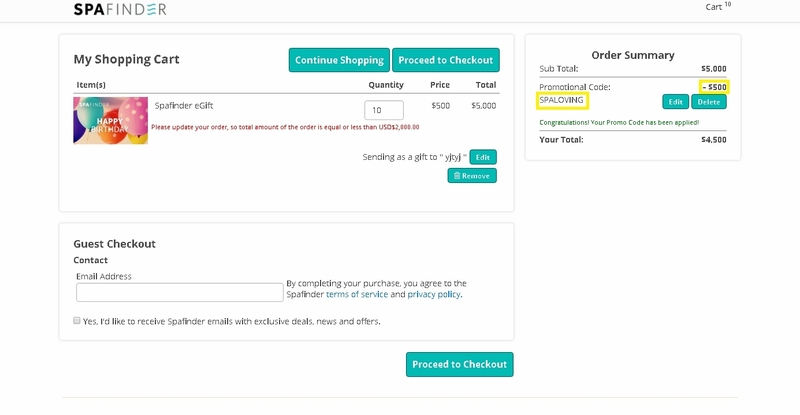 Ale Briceno Vill This promo code is properly working, copy and paste the code at checkout to claim your discount today. 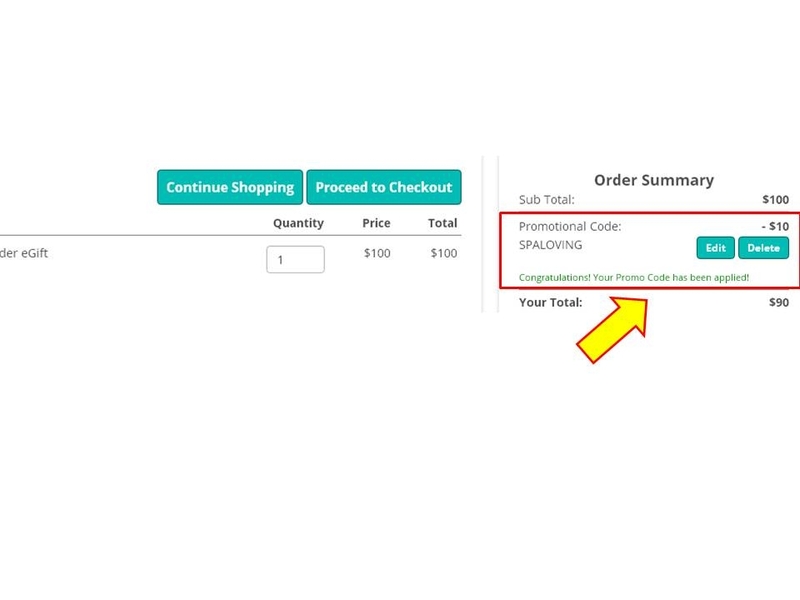 Ale Briceno Vill This offer is properly working, all you need to do is copy and paste the code at checkout to get this discount. Freddy This awesome deal still works as described. I am reactivating it. Simply enter code at checkout to enjoy this great discount. 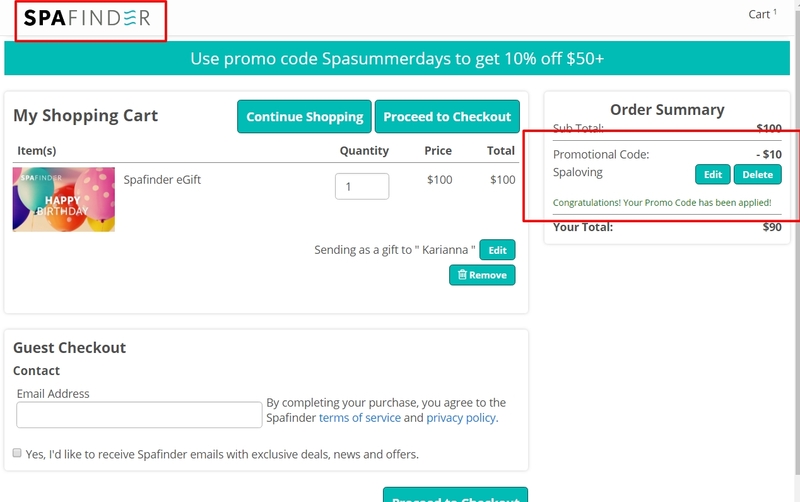 Julio Sanchez i have tested this code and is working as described, place it at the checkout of SpaFinder and enjoy the discount. Alexander I am re-activating this expired deal. Enter the promo code at checkout and that's all. Becky Ann Whitman This is an amazing deal and remains working as described. 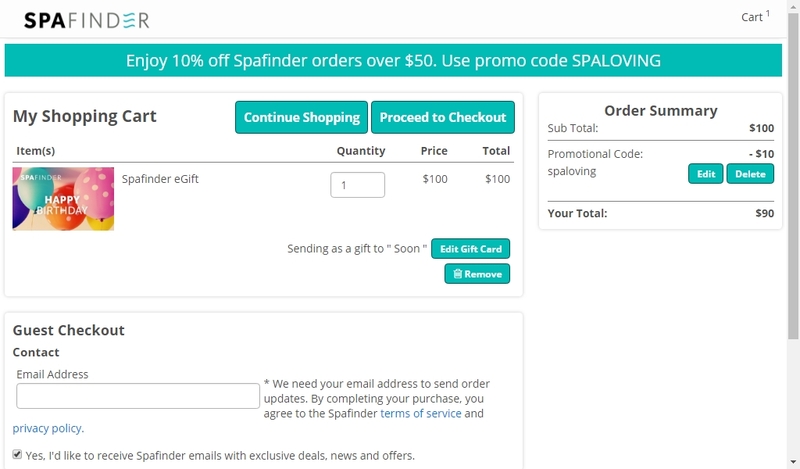 Get 10% Off Orders of $50 or More (Sitewide) at SpaFinder. Go to the online store, put the items in the shopping cart, enter the code at checkout and enjoy this significant discount. This is a limited time offer. MIRIAN SALAZAR Get 10% Off Orders of $50 or More (Sitewide) at SpaFinder. Just enter this code at checkout to apply the discount. There may be some exclusions that will apply to this deal. 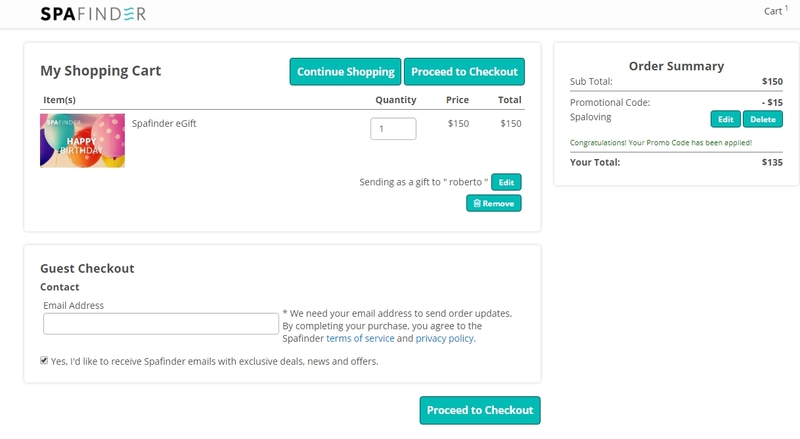 Vargas48 The promotion code is valid and works as described, simply enter the promotion code Spaloving in the Checkout process to receive the discount.